What is an NIE number and why do I need one? In Spain you cannot legally buy property, a house, car, boat etc without having applied to the police for your NIE number and had your NIE documentation returned. Likewise, you cannot enter into a contract for the supply of electricity, water or a telephone line etc without giving your NIE/NIF number together with your bank details because these services will only accept clients whose bills are paid automatically from a bank. Neither can you arrange an insurance policy or order goods or services, sign on for the National Social Security, Health Service or commence a job without showing your NIE number. 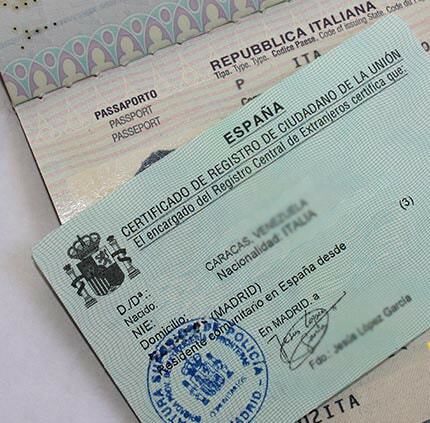 The Decree (Real Decreto 338-1990) of 9th March establishes that everyone, of whatever nationality, resident or not, who has any “official business” in Spain, must have a fiscal number (NIF/NIE) which is used to identify them on all official documents. Spain has updated the regulations governing NIE applicants; it is now official policy for all new foreigners wishing either to reside or buy property in Spain to complete an EX18 NIE form which also covers Residencia, regardless of whether or not they are buying property for a permanent residence or a holiday home.